The Gallery was inspired by the alabaster period pieces done by Ronnie Curran. There is a Jim Irish cut crystal bowl on the Queen Ann table. Close-up views of the individual pieces below. Close-up of the Jim Irish crystal bowl. Close-up of of the Queen Ann cherry wood table with lace wood edges. 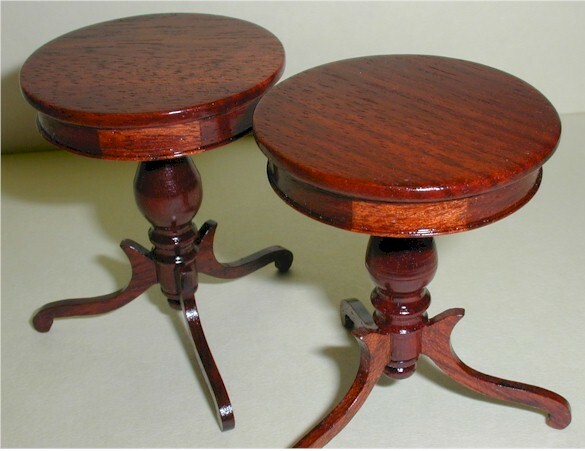 These two round topped tables were made by Edward G. Norton. 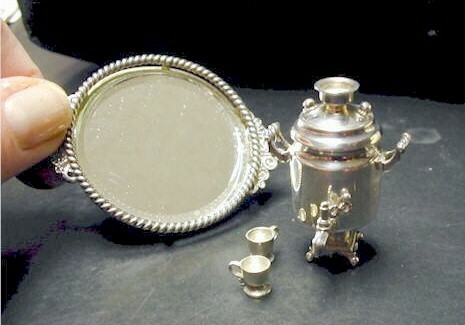 Vladimir Matusovsky, a Russian silver artisan now living in Canada, made this silver smaovar.